Update for website and blog, and Florida strange news! Sorry for the long period of long inactivity. I have had some serious issues that has required my attention. No, they have not been resolved. I just have a weekend where I am stuck at home with no money. I have a few change for my website and blog. 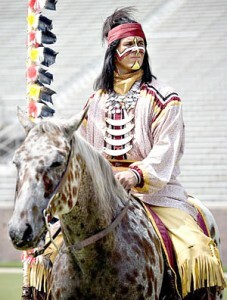 This is my blog, and I had a web page on Florida and Seminole War history. First, if you tried to access my web page, you may have noticed that it is missing. I have decided to retire it after 19 years. It was difficult to update through ftp , and I had not done so in eight years. I have not gotten any feedback from anyone in recent years, and when I did a search on the regular search engines, it would be at the bottom of the list for Seminole War searches, or not show up at all. So this really didn’t justify the large amount of money that I was paying each year to keep it around. Another reason that I let it retire is that the Seminole Wars Heritage Trail booklet is coming out in August, with a companion website, hosted by the Florida Department of State. The trail booklet is almost identical to my website, but updated. I’ve had a contribution to the project as well as many other authors on the Seminole War. So I feel this will be a replacement to my website. Second, is that my former website had a few miscellaneous articles that were separate from the sites and the museums. I will re-post those, here on my blog, as well as updated county information. So some of the same information from my old website will be here on my blog, which I can edit and change. I could not easily edit and change the old website. I will start out with information on the 4th of July in 1841, and Fort Brooke in Tampa Bay, because I will be at the Tampa Bay History Center for their living history day, coming up next Saturday on July 4th. Come see me there! Update: It is not free, which I said earlier, but still only five dollars a person. Still a bargain and well worth it. Not much else you can go for entertainment at that price. The museum just had 2.5 million dollars cut from the state budget last week, and they need all the money they can get. It is an outstanding museum. Then I will talk about St. Francis Barracks and St. Augustine. We have a special event there, coming up on August 15th. That one will be worth attending as well. We have been finding out some interesting things about the burial grounds were Dade’s men are buried. Also, an artifact will be on loan from West Point for the event, which you will want to see. This will be an artifact from Dade’s command that is not normally displayed in public. And final, this is in the category of Florida news of the weird. This is like one of those stories where a guy named Lincoln kills a guy named Booth, or a guy named Kennedy kills a guy named Oswald. In a sad news story this weekend in the Tallahassee newspaper, the former FSU Osceola rider (2004-2007) Caleb Joshua Halley, was killed by a coworker named Orlando Thompson in a dispute over the ingredients of cooking gumbo. So a guy named Thompson killed a former FSU Osceola. Some of you may know, that the original Osceola, killed Indian Agent Wiley Thompson, near Fort King on December 28, 1835.